← A New Man is out! With a blog tour and prizes! Please welcome Z. Allora and the Transgender Romance Writers, who have certainly opened my eyes and added to the TBR pile. Vicktor Alexander has offered a snippet of his new alternate universe novel, A Groom of Convenience, for us to enjoy, and the group has some goodies to offer. Don’t forget to leave a comment to enter. Z. Allora, please tell us why you’re here today. I want to thank P.D. Singer for allowing us to hop by on our Transgender* Romance Writers Blog hop. This lovely group of writers and I have been bouncing around the Internet to hopefully raise awareness about transgender* issues. 78% of survey respondents who suffered physical or sexual violence at school (attempted suicide). 65 % of respondents who experienced violence at work. 57% of those who reported that their family chose not to speak/spend time with them. 60% reported a doctor or healthcare provider refused to treat them. 57-61% of those disrespected or harassed by law enforcement officers. I know many readers in this community have never read a transgender* romance. Remember that dark time long ago when you didn’t read m/m romance? (Hugs, I know you’d rather forget about it.) But when you first heard of this genre, you might have felt it was out of your comfort zone… until you opened that very first gay romance book. You were hooked. The same way you fell in love with gay characters and now fight intolerance & promote equality, we want you to adore our transgender* characters. We want you to open our books (and your hearts) to witness transgender characters’ strengths, their struggles, their flaws and root for their victories in love because in doing so you’re going to understand a little bit more about their lives. And we hope you will fight transphobia just as hard as you fight homophobia. The winners will be picked after our last stop March 5th. We will notify you by e-mail. 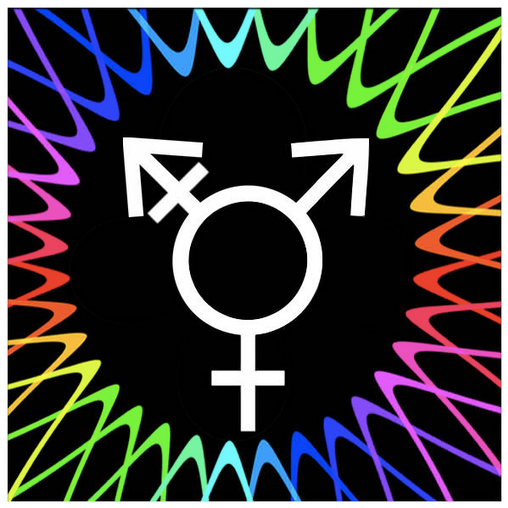 What was your biggest worry in writing a transgender* romance? Vicktor Alexander: Proselytizing, I guess. I didn’t want to be all like “HERE’S WHAT’S WRONG WITH SOCIETY! NOW FIX IT, ASSHOLES!! !” But at the same time I did want to show people that there was an issue and that they could help, and not even that, but that we all needed to become more comfortable with the issue. Myself included. While I was writing the book I had to constantly get over the sexist ideals that I had in my head that I wasn’t even aware were there. I was horrified. Theo Fenraven: Not doing justice to the characters. Zach is bisexual, Sky and Liza are MtF transgender, and their friend Ricky is a cross-dresser. Ethan Stone: That I would get it wrong with Taylor. That Taylor’s issues would seem unrealistic. Sara York: That we wouldn’t do justice to the story. I think the result was fairly good though. I’m very happy with Transparency and the characters we created. Kimberly Gardner: I didn’t have a worry that I would say was unique to writing a trans character. Whenever I’m writing a story, any story, I hope I have the talent and the skill to make the world of the story come alive for my readers. Mostly I think I’m pretty adept at doing that. If I fail to draw the reader in, the failure is mine and not on account of characters or the story I’m telling. Corvus Alyse: At first, I really didn’t want to offend anyone or piss anyone off arbitrarily. But then I realized that I wouldn’t be writing for me. So I wrote from a point of view that I adopted from my own personal lifestyle. I do my thing, and as long as it doesn’t hurt anyone else, I’m good. Z. Allora: Doing harm. The transgender* community has been sexualized far too often… I didn’t want to add to the negative stereotypes or unrealistic views. But I couldn’t stop my Boon-nam from rejoicing over having the body she’d always dreamed of nor would I not allow Lalana to celebrate the duality of her nature. Lucien pulled on his white gloves and rose from the seat in front of his dressing table. Picking up his reticule, he turned toward his bedchamber door and accepted the golden lace fan Patty held out for him. He wore a white-and-gold waistcoat with tails that trailed to the floor. His white breeches were trimmed in gold, and he wore a pair of heeled white boots his mother had ordered made especially for the outfit he wore. His hair had been brushed, powdered, curled, and pulled to the side to rest on his shoulder, the loose queue surrounded by flowers, and small diamond barrettes throughout the blond strands of the rest of his hair. His eyes were lined in black kohl, and his lips had the smallest amount of red lip rouge, while his cheeks were brushed with pale pink rouge. He felt as if he were Princess Edward in that moment, and he tried not to smile too wide at Patty when she declared him the most beautiful woman she’d ever laid eyes on. He stepped into the hallway just as the front door opened, and he placed a hand against his stomach to settle his nerves. His entire family was attending the Cavendish ball, and in Hawthorn tradition, they were all wearing clothes that complemented each other. The men were wearing hunter green and gold and the women wore white and gold. It was only in that moment that Lucien realized he should have coordinated his attire with his betrothed, and he could only hope that in the five hours since they’d last seen each other someone had thought to send word to Heath about what colors to wear. All those thoughts left his mind when Lucien came to a stop at the top of the stairs. Heath stood in the entry hall, handing his walking cane, top hat, and greatcoat to the butler, wearing a black suit with tails, a snow white shirt, gold vest, and a white cravat. Lucien didn’t even have time to be happy about the fact that his future husband was wearing gold before Heath glanced up. The intensity in his gray eyes colliding with Lucien’s own left him breathless. The rest of the room faded around them, and Lucien found himself breathing in sync with his intended. He watched, barely moving, as Heath walked toward him, up the stairs, not speaking, barely blinking. When he finally stopped before Lucien, Lucien looked up into his darkening silver eyes and inhaled sharply. Lucien shook his head, wanting to deny Heath’s words, but Heath went down on one knee before him without warning. Lucien gave Heath a wobbly smile and looked at the black box he pulled from the pocket of his waistcoat. Lucien gasped when the box was opened, one hand on his chest in amazement. Nestled inside the velvet box was the most beautiful ring he had ever seen in his life. A large sapphire, the largest sapphire Lucien had ever laid eyes on—bigger even than his mother’s—surrounded by diamonds, waited to be placed on his finger, and Lucien’s eyes filled with tears. “Oh milady! You must not cry! Your cosmetics will smear,” Patty warned him. Lucien let out a watery laugh as he held out his left hand for Heath. Heath let out a loud chuckle as he lifted the ring from the box and slid it onto Lucien’s finger before placing a gentle kiss on that same finger. Heath looked up into Lucien’s face and smiled gently at him. “You have made me extremely happy,” Heath said. Patty shook her head and rushed him back to his room. Before long Lucien was being wrapped in his fur-trimmed white cloak and assisted into Heath’s carriage. Heath sat across from Charlotte, Rourke, and Whitcomb, and Lucien sat next to him and Yarborough. A line of carriages left the Yorkshire Estate and traveled to Cavendish Manor, and Lucien found his hands trembling slightly in his lap, the glove of his left hand puffed up around his ring. He’d caused everyone to laugh when he’d put the ring on over the glove and then taken it off and put it on under the glove before eventually settling for having it on underneath his glove before they could finally leave. “Are you all right, my lady?” Heath whispered to him. “Oh Luce, I hope you are not worrying over Madison Kipling,” Charlotte spoke up in the darkness of the carriage. “The viscount’s heir?” Heath asked. Lucien groaned and lowered his head in embarrassment. “Lucien was in love with Madison when he was a little girl,” Charlotte said, a teasing note to her voice. “You were?” Heath sounded amused. “Two years ago is not so little,” Lucien mumbled. The carriage grew quiet. “It was completely one-sided, though, Your Grace. I assure you,” Charlotte said quickly. “Well, then, he’s a fool,” Heath stated with finality. Nothing further was said on the matter, and Lucien settled, as much as his outfit would allow, into the cushioned seat of Heath’s luxurious carriage. Soon they were pulling up in front of the Cavendish Manor and waiting in a line of carriages. When they reached the front of the line, Charlotte was assisted down by her husband, who had stepped down first, and Lucien was helped down by Heath, who smiled the entire time Lucien stepped from the carriage. They walked up the stairs to the front door and handed their cloaks and greatcoats to the waiting servants and maids. Lucien took Heath’s offered elbow and walked with him to the ballroom, behind their parents, followed by Heath’s friends. The rousing sounds of the quadrille could be heard even from the entry hall as they made their way to the ballroom, their whole party resplendent in their attire, and Lucien had to stop himself from bobbing his head along to the music. Heath’s parents were introduced first, and Lucien swallowed nervously. Then Lucien’s parents stepped up to the doorway and handed their cards to the butler so they could be announced. “The Earl and Countess of Yorkshire,” the butler announced. Lucien smiled slightly as his parents stepped forward and walked down the stairs to the ballroom. Charlotte and Rourke were announced next, then Mary and George, and when Frances and Sophie stepped up, Lucien saw Madison across the room. His breath caught when he found himself almost pinned in place by the green gaze of the heir to the Cavendish title. Madison was tall and thin, though not lanky. He was nowhere near as broad and muscled as Heath. But where Heath was all brawn, dangerous muscle, and screamed possessiveness, Madison was grace, sophistication, and beauty. His eyes widened in interest as he looked at Lucien as if seeing him for the first time, and he began to walk forward. “His Grace, the Duke of Pompinshire, and his betrothed, Lady Lucien Hawthorn,” the butler intoned, and the entire room came to a halt. Including Madison. It gave Lucien a bit of a thrill to know that Madison Kipling, a man he had spent years pining and daydreaming over, finally wanted him, only to find out he couldn’t have him. Lucien pasted a serene smile on his face, when he really wanted to let out a laugh of delight, and squeezed Heath’s arm gently. “Are you ready, Beauty?” Heath asked. Thank you, Vicktor, authors, and readers. Please leave a comment to be eligible for the drawings. This entry was posted in Writing and tagged blog hop, giveaway, guest blogger, transgender, Vicktor Alexander. Bookmark the permalink. Thanks for the excerpt Vicktor. I recently read Transparency, and enjoyed it. I am slowly adding the books to my library as finances permit. I think, as Vicktor stated above, that a lot of society has to get over the “sexist ideals” in their head. thanks for all the information and for the books you write. As authors it is great you are inspiring, supporting, and informing. I look forward to more information and any books that you write. Hugs all. Thank you so much for following us. We appreciate it. The stats are really shocking, so this tour is a wonderful thing! Thanks for the transgender information .It brings the message equality must be for all. It is a great idea for a blog tour but it’s so very sad to see the Suicide Prevention facts listed about transgender* people. We are all human no matter what we look like, behave or believe etc so we surely we should all be equal and treated as such. Those statistics hurt my heart. It’s wonderful to see how far we’ve come but difficult to see how far we have yet to go. Love all the authors in this post. Thank you for your great stories. Victor. Z Allora, Sara York Ethan Stone, and Theo, I follow you all. Thanks for the good stories. Thank you Pretty ones for reading us and following us through the Internet. The statistics are harsh and hurt my heart but I want people to understand transphobia is KILLING people… good wonderful people. If you don’t struggle with your gender identity that’s terrific but so many people do to various degrees. It hurts to read those statistics. Thank you for sharing about your writing in these posts. So very heart breaking to read these statistics. I’m really glad the authors all went in with a mindset of respect. For any character they write, that’s always what I want from authors. Thanks for sharing a piece of Groom of Convenience, it’s on my list! It’s saddening to read those statistics. But hopefully enlightening people about this subject will help drive away the fear they have for transgender*. I agree the numbers are devastating… but here we are discussing it, educating ourselves and those around us… We are making it better. Thank you!!!!! Hugs, Z.
I come from Asia and let me tell you that I am not surprised by the stats. The only thing that surprises me is that I always believed (hoped) that the “West” would be somewhat free minded as compared to society here. Homosexuals and transgenders have faced many centuries of intolerance in my country at least. They are typically subjects of ridicule, persecution and even mass media doesn’t spare them. I still recall all the derogatory terms we came to know as kids when referring to them (till i learnt better). As a result, homosexuals stay deep in closet and the more “visible” transgenders face so much persecution and are so marginalised that many are forced to beg or go into illegal prostitution since typically nobody hires them. My first awareness of a trans-sexual was of a dancer who came as part of the troupe celebrating my sibling’s birth. She was stunningly beautiful and but for the shaved chin would have turned necks for the right reasons. The next day I overheard my mother and aunt discussing her in sympathetic tones. The overall tone was “why would God do something so awful to someone so beautiful and talented”. I couldn’t understand then what was so “awful” about her situation since to my adolescent eyes (gangly and awkward and socially inept) she was the epitome of who I wanted to be (pretty, graceful, and confident enough to dance in public). It was only when an older cousin interrupted with some rude comments about how “he chose to deny his masculinity so he deserves it” that it finally crashed on me. Today, I realise that both sides were wrong. The cousin for obvious reasons but mom and aunt for pitying her. Nature made the dancer beautiful and talented. She gave us such a wonderful entertaining performance. She just deserved kudos not pity. And of course a standing invitation to all future celebrations at our home.